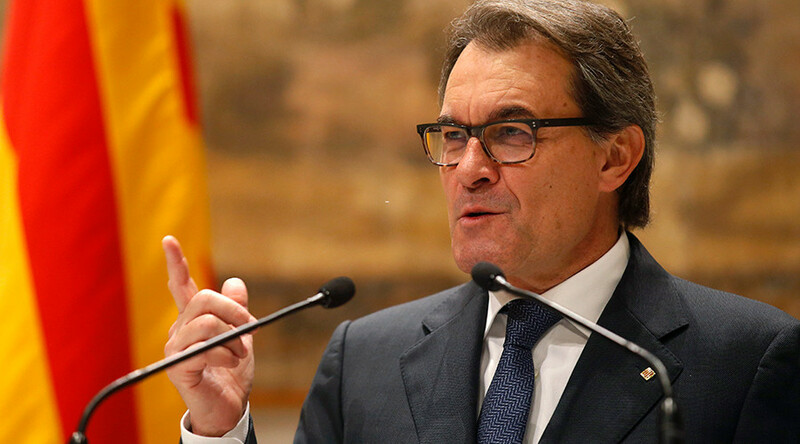 Catalonia’s president Artur Mas has stepped down in order to allow pro-independence parties reach an agreement to form a new government and carry on with Catalonia’s secession from Spain. "I am going to step to one side. I will not offer myself as candidate for [the pro-independence coalition] Junts pel Si [‘Together for Yes’] for my reelection as president of Catalonia," Mas told reporters in Barcelona on Saturday. He added that the negotiations between the ‘Together for Yes’ and far-left Popular Unity Candidacy (CUP) – the two pro-independence parties that won the majority of seats in the 135-seat parliament in September – came to a deadlock. “We didn’t have perspective and our project was about to fail” admitted Mas “now the [pro-independence] process is saved and the stability of the Catalan government guaranteed”. El #fildesperança ha culminat Mb èxit. Hi ha acord. Tindrem govern i estabilitat!!! Ara a pencar de valent per guanyar la independència. "There is an agreement. We will have a government and stability," Jordi Sanchez, president of the pro-independence Catalan National Assembly group, said on Twitter. Mas proposed that Carles Puigdemont, head of the association of pro-independence municipalities and mayor of the city of Girona, replace him as a candidate for the post. The new president is to be elected before midnight on Sunday. If the parties fail to choose a replacement before Monday, new elections will be called automatically. Disagreements between the two pro-independence parties who together gained majority have hindered the process of forming a new government. One of the main stumbling blocks was that CUP refused to back Mas’ candidacy for president due to his austerity policies and alleged links to corruption scandals. CUP has said that it is ready to work with another candidate put forward by ‘Together for Yes’. On Saturday Mas admitted that new elections “would have been the worst scenario” and it “may have killed the entire process” of the push for more independence from Spain, which most Catalans support, according to polls. 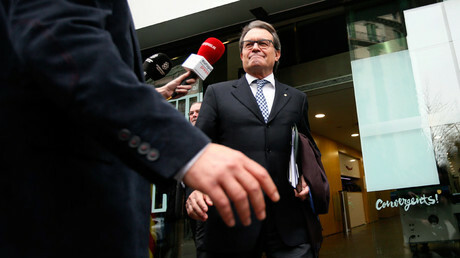 However, Mas said that he will not leave politics and has not left out the possibility of running for the Catalan presidency in the future. The Spanish government in Madrid has adamantly ruled out the possibility of Catalonia’s independence. Spanish Prime Minister Mariano Rajoy has said that Catalonia’s secession would be illegal, while EU officials have warned Catalonia that it would have to leave the bloc if it seceded.